IDW founder and Diablo House writer/co-creator Ted Adams and Locke & Key artist/co-creator Gabriel Rodríguez are excited to present an all-new interpretation of H.G. Wells’ classic science fiction novel, The Island of Dr. Moreau. Debuting in July, the two-part comic book tale of terror and evolution will be colored by Nelson Dániel and lettered by Robbie Robbins. Remaining faithful to Wells’ plot, dialogue, and Victorian era setting, Adams and Rodríguez replaced Edward Prendick – the original witness protagonist – with a new creation, Ellen Prendick. 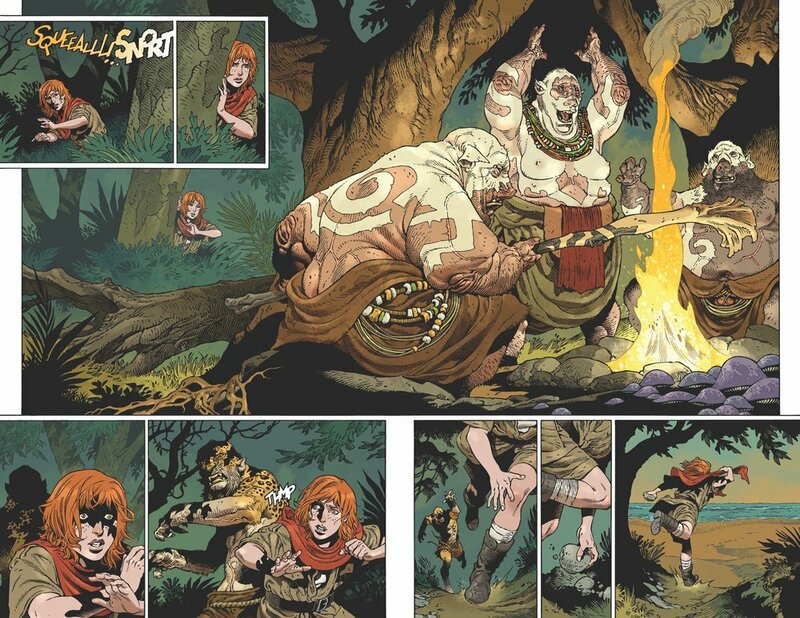 Her inclusion allowed the creative team to explore a new version of one of the world’s favorite stories through the eyes of a more active character with a different and refreshing point of view on the cursed island’s horrific events. The Island Of Dr. Moreau will be ON THE SHELF July 2019. Are you a fan of the story? Let us know in the comment section below. Also, Don’t forget to like, share and subscribe to all things Constant Collectible to keep up to date with all the news and reviews from a world of GEEK CULTURE. Apr 8 @ArchiecomicsGives Us Our First Look At #Choni's summer road trip and more in RIVERDALE SEASON 3 #2!